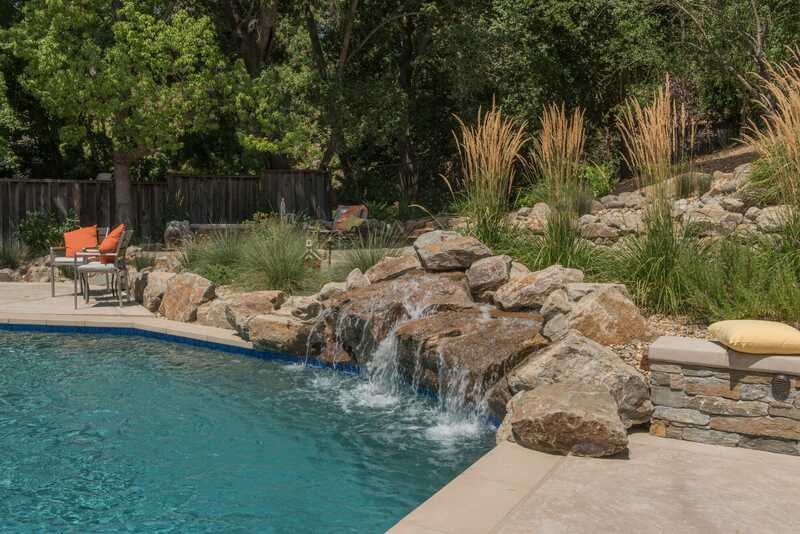 This Pleasanton backyard space had good “bones” with an existing swimming pool, mature fruitless olive trees and a textured concrete pool deck. 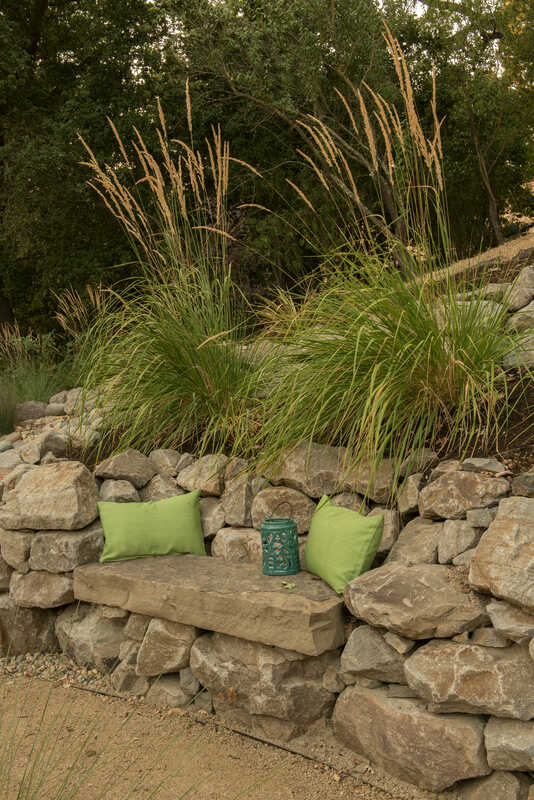 The remaining areas were underutilized, yet had tons of potential for a dynamic and inviting outdoor retreat. The challenge for SFLA was to blend existing elements with new features in order to crate a functional backyard with a cohesive look. 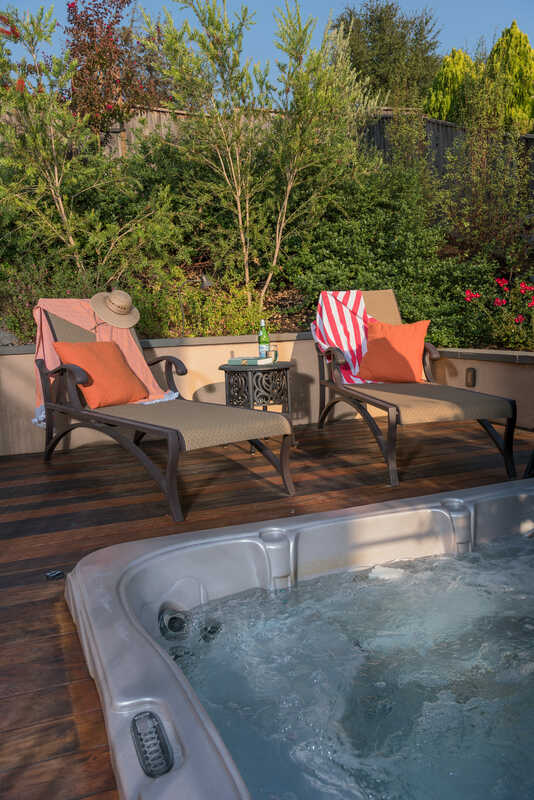 Carefully choosing materials and strategically arranging entertainment areas achieved the goals. 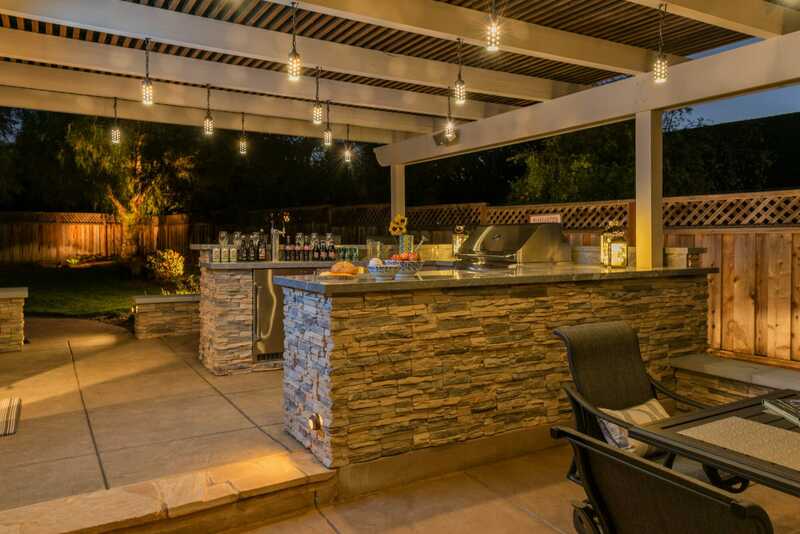 A refurbished pergola with twinkling LED lights covers the patio addition and illuminates the kitchen and bar islands at night. Off to the side is a cozy fireplace and sitting area contained by masonry walls for additional seating defining their outdoor “room”. The new textured concrete patio seamlessly blends with the existing pool deck. 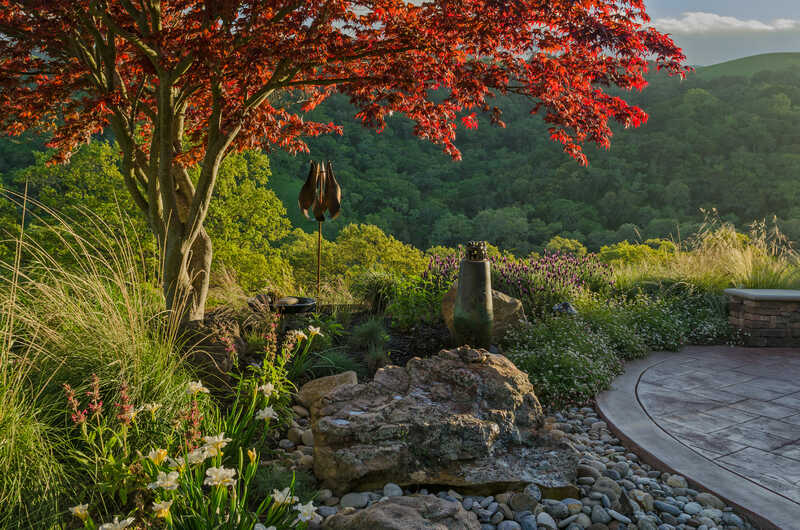 A meandering path invites people to explore colorful planting beds and lawns. 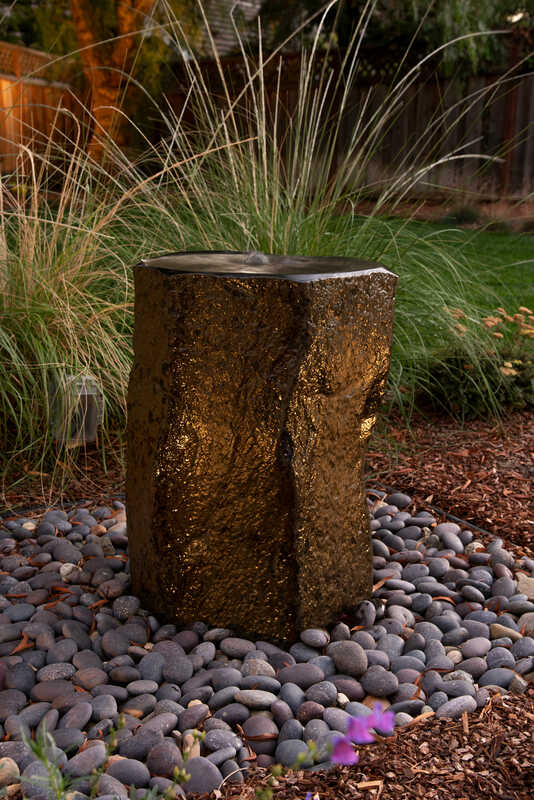 The beauty and soothing sounds of a unique boulder water fountain provides a hidden Garden Surprise!